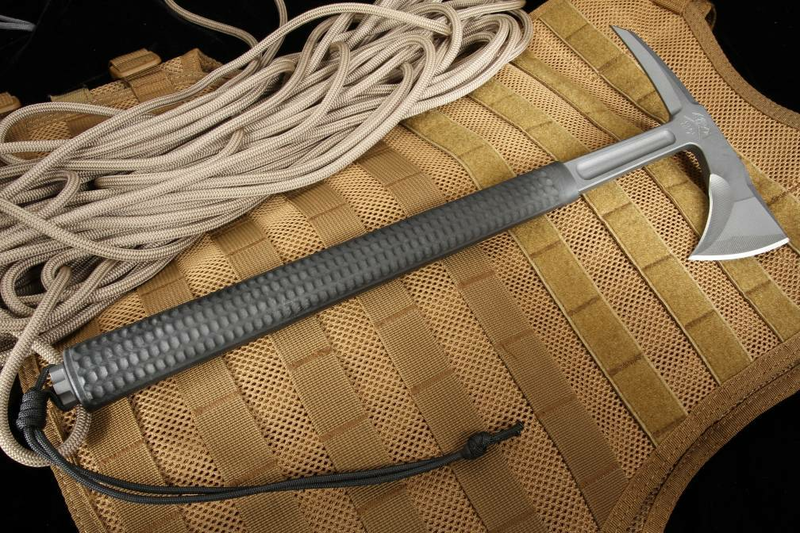 When special forces units around the world need a tactical tomahawk, time and time again, they have turned to RMJ Tactical for the best of the best in terms of durability and reliability. Battlefield stories tell of RMJ tomahawks being used in hand-to-hand combat, entrenching under fire, and even breaking through barricades during assaults. 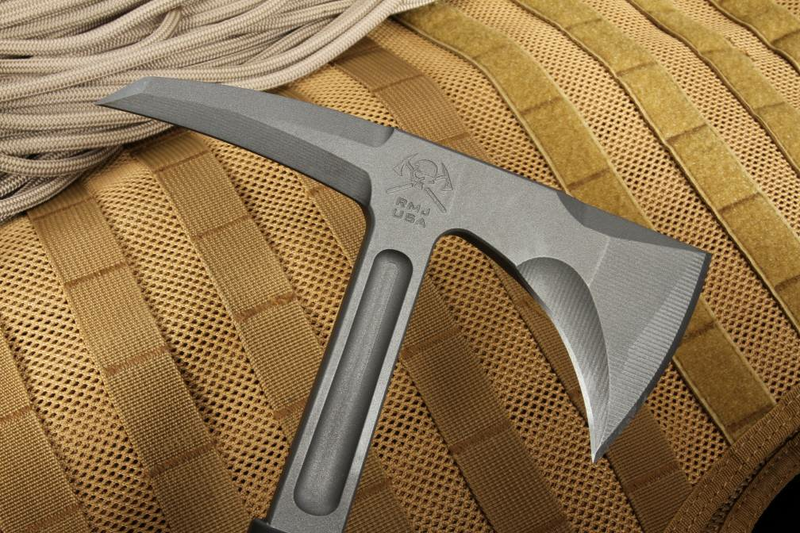 The RMJ Shrike Tomahawk is the best selling model in RMJs arsenal. The RMJ Shrike is forged from 3/8" thick 80CrV2 tool steel, which is not only hard, but tough enough to withstand impacts, repeated use, and just about any kind of punishment you can dish out. The striking surfaces, beard and back spike, have been heat-treated to a Rockwell hardness of 54, while the neck and tang have been left at 30 HRC. This allows for improved hardness and increased penetration, while the haft of the axe can absorb impacts without breakage. At 15.5" overall length, the Shrike has a cutting edge of 2.75" and a 3" long backspike. At 25oz, this means there is a lot of momentum behind this sucker when you swing it, and that hardened spike and forward edge can hack through just about anything, from concrete to sheet metal. Even level 3 soft armor! The 3D sculpted G-10 handle is capped with 4140 end caps to house a secure storage area. 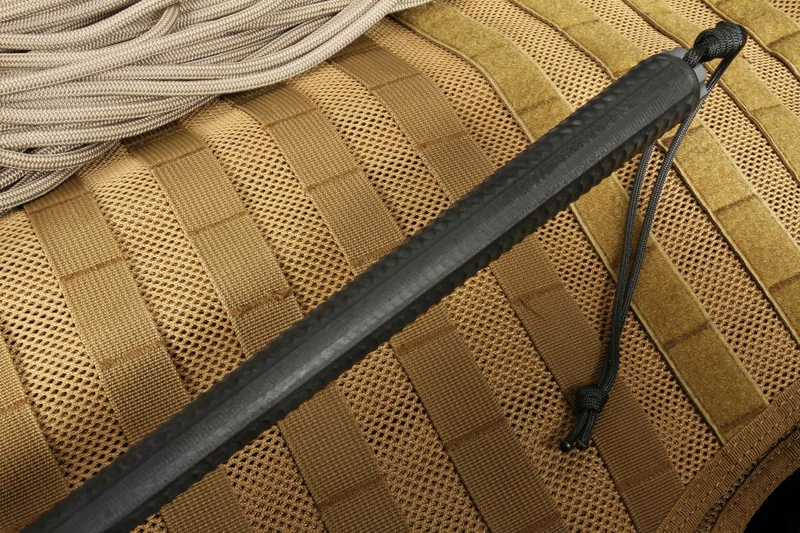 It has been over-molded with high durometer rubber, tested for electrical resistance up to 2,000 volts! It comes in Black, OD Green, and Coyote Brown. 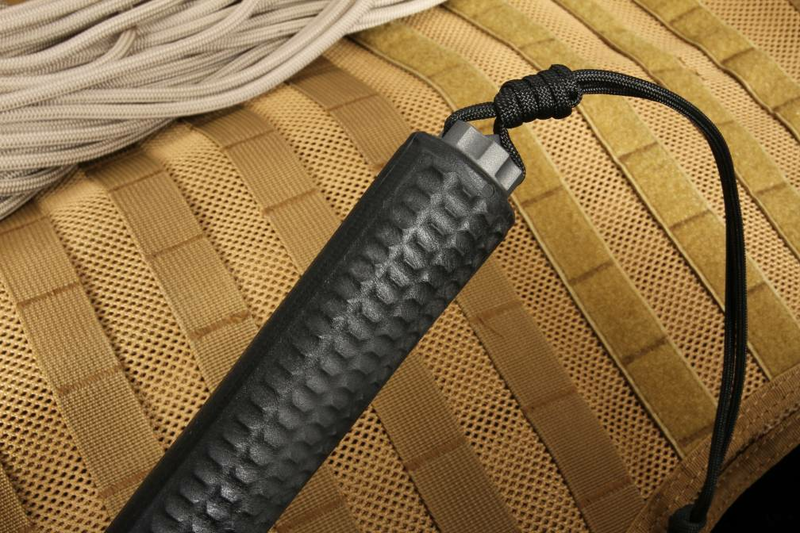 For carrying options you can rely on the Kydex sheath for quick, bottom eject deployment with low-ride MOC straps for ease of carrying and convenience. Made in the USA, RMJ Tactical tomahawks and knives are protected by a lifetime guarantee against structural failure; not just for the lifetime of the owner, but for the lifetime of the product itself! (Excluding normal wear and tear). 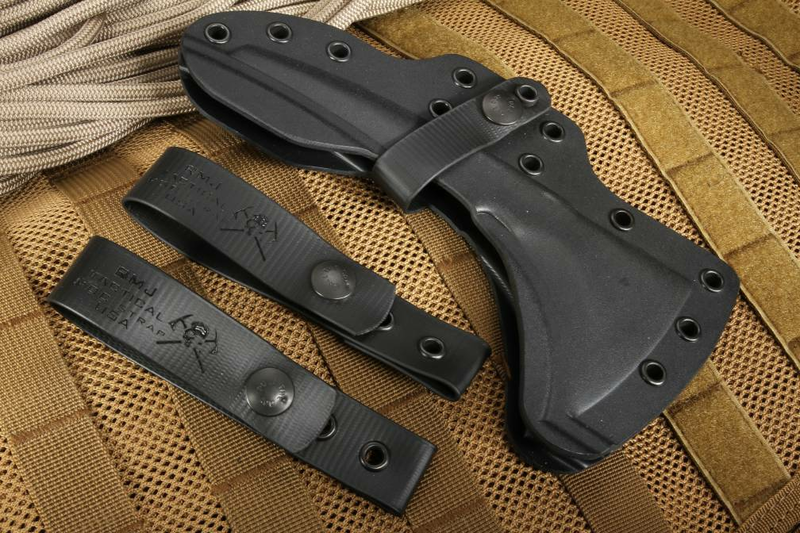 As a proud authorized dealer of RMJ Tactical tomahawks, Knifeart.com provides fast, free shipping and guarantees you will be satisfied with your purchase or you can send it back. No restocking fees will be charged!